Image caption The ECJ ruled that the restriction on call time stopped Mr Matzak from doing anything else. The European Court of Justice has ruled that a part-time Belgian fireman can claim payment for on call time. Rudy Matzak - a volunteer firefighter in Nivelles - is allowed to stay at home when on call, but has to be ready for work with only eight minutes' notice. The ECJ argued this qualifies as work due to the time constraints. The ruling could allow other workers across the EU to charge for this kind of shift. Reality Check: Does the EU protect workers' rights? The preliminary ruling delivered on Wednesday stated that Mr Matzak should be able to claim this period as work, as the notice period is so short it constrains Mr Matzak's ability "to devote himself to his personal and social interests". As the court stated, not only was Mr Matzak required to be contactable by the authorities, but he also had to get to the scene of the fire. Because of the need to be "physically present", the volunteer firefighter's case differs from workers on stand-by duty, whose employers need simply to be able to contact them, the court ruled. 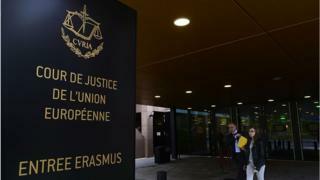 The case originally began in Belgian courts in 2009, before being referred up to the ECJ in 2015. Rudy Matzak began serving as a volunteer firefighter in the Belgian town of Nivelles in 1981 and 28 years later brought a legal action against the municipal authorities arguing that he should be paid for the periods he spent on call. The case began in the Belgian labour courts but was referred to the European Court of Justice which has now ruled that those periods on call must be considered to be working time because Mr Matzak's ability to do anything else was so constrained. The case may have wide-ranging implications for other groups of workers within the EU who spend time on standby ready to work without being paid for it.